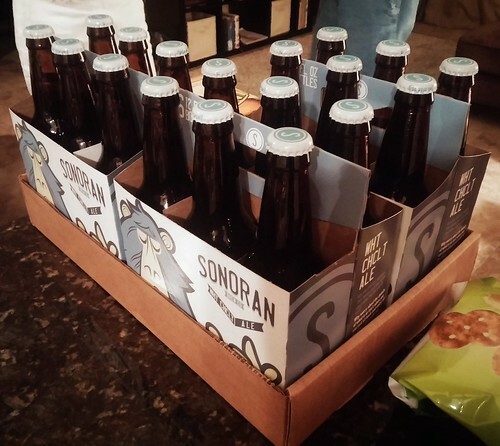 Incidentally, my 70,000th photos was of these three six packs of the incredible Sonoran Wht Chclt Ale that will be making their way back to us in April. Also hiding behind the Sonoran is a six pack of the delicious Orange Blossom Ale Wheat from Papago. Mmmm, beer.